My family run auction business was started February 1, 1836 in downtown Harrisburg, PA. It the oldest, continuously operated auction business in the Central Pennsylvania area and one of the oldest auction firms in the Unites States. 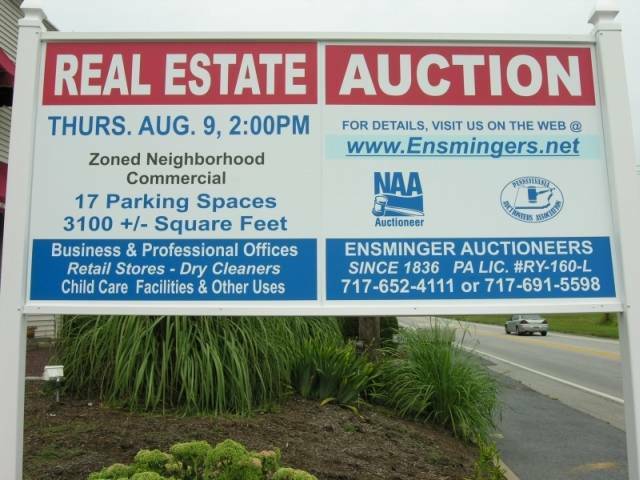 Ensminger Auctioneers is currently being operated by fifth generation auctioneer Robert A. Ensminger as a sole proprietor. His brother, John S. Ensminger, now officially retired, remains as a contract auctioneer. Previous generations of family auctioneers included fourth generation auctioneer John T. Ensminger, IV (1918-2009,) and third generation auctioneers E. Charles Ensminger (1875-1958) and John T. Ensminger, Jr. (1878-1955.) Maj. John T. Ensminger represented the second generation and actually sold the spoils and surpluses of the Civil War on the steps of the state capitol. Philip Ensminger started it all in 1836. The entry in his journal shows the start of business on February 1st of that year. The Harrisburg Business Directory of 1842 (complete original copy in my possession) shows that he was one of three auctioneers in Harrisburg at that time. Updated 1/22/2018. My normal service areas include the Central Pennsylvania areas listed below. My Commonwealth of PA license is valid throughout Pennsylvania and 12 states that offer reciprocity. I offer contract auction services anywhere my license is valid and jurisdictions where no license is required. Your information will not be shared or sold to others. It will be used for Auction Notifications only.